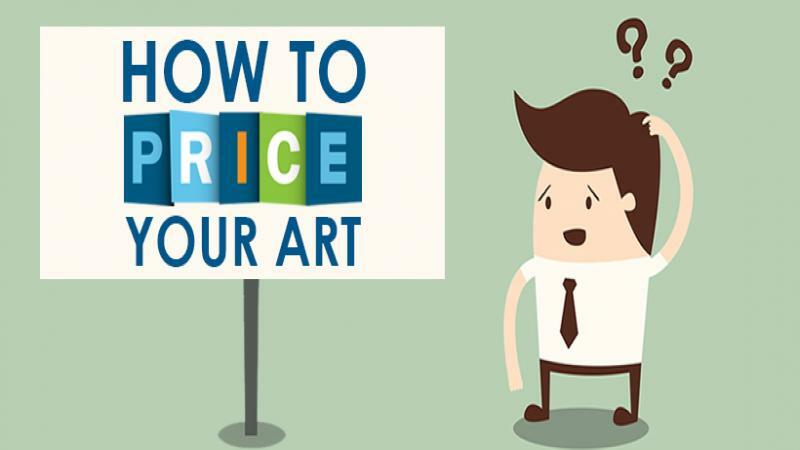 Showflipper tells you the basics of how to price your art. What is my painting worth? This is a question that has vexed many Artists throughout the centuries. And not just because they have an emotional bond with their work, which many artists do, but because answering this question is dependent on some complex & often varying factors. For some artists, the question of how much is my art worth is an anathema. And this emotion may hinder the essential process of deciding how to charge for painting. Even those artists who have the experience of working in other fields which require the knowledge of sales dynamics, sales plans & marketing strategies find it difficult to get their prices ‘just right’. Creating art revolves around unique personal artistic intuition, expertise that comes from your conscience; pricing art for sale revolves around the outside world, in the real market where things are purchased and traded for capital, which is where market trends direct the worth of things. In art, emotion is of the utmost importance whereas, in the art business, it takes a back seat. Understanding the art market will help you understand how your art will be perceived and then you'll be able to figure out where exactly you need to invest your resources. It will also help you figure out what to modify or improve, further down the line. All the research you do, will not lead you to an exact figure, or even a near approximate; but, it will give you an idea on where to start. Because, like any other product, art is valued depending on specific criteria and these are more concerned with what the happenings in the market than they are concerned with each artist. And when you ask the question, how much is my painting worth one important aspect is to not forget that no matter how ‘unique’ your Art is, there are thousands of other artists who are doing exactly the same thing as you. And that plays into the age-old equation of demand & supply. And to make things worse, there are no scientific laws governing the art of pricing something as subjective as Art. So some artists may spend their lives never quite getting the formula right on how to price a painting. Regardless, there are a few tips & tricks of the trade, which will provide you some degree of protection from the vagaries of the Art market. Here are a few of those tips distilled down for you in a usable format that will help you sell art online at the best price. You could think of this as your little art pricing guide or even an art price calculator for pricing your art. The first step: In mathematics, a term called ‘Geometric mean’ is often used. We can use a similar term to categorize your artwork as well. Yes, mathematical concepts can be applied to Art if they are applied in the right context & to the benefit of pricing structures. The key meaning of this geometric mean is ‘the central tendency’ or ‘typical value’ of a set of objects. In the same way, you need to find an example (or a set of examples), which a representative of the kind of work you are currently producing. Needless to say, they do not deviate wildly towards either side of the spectrum of your artistic canvas for the time being. Once you have established such a typical piece of work, take the effort to describe these works in detail – from the physical characteristics like weight, size, dimensions, ingredients, etc. to the more factual styles of work, because these details matter a lot when you plan to sell art online. Do not use intangibles like subjective views. And then set a ‘base price’ for your work. 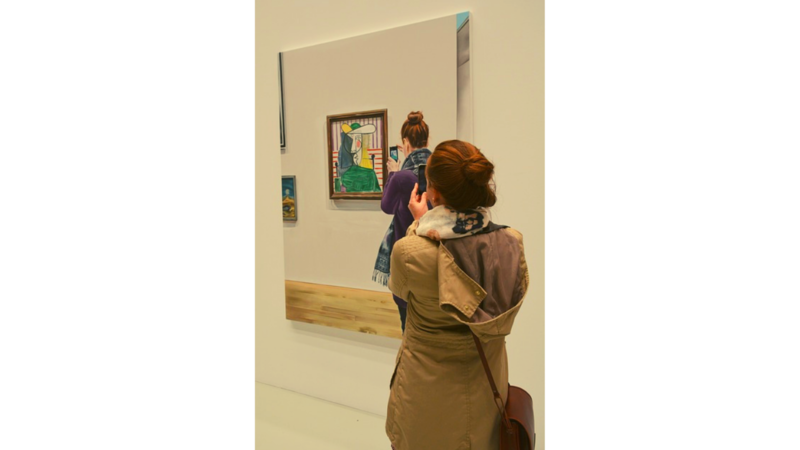 You could use various criteria like the prices that artists with similar experience & in a similar region levy or even the keen eye of someone who knows the art world well. But once you have this price, you can then vary the prices of your other works based on how many ‘auxiliary qualities’ they have on top of the regular offerings or based on those which they lack. Establishing a career in a field as arbitrary as art, your artistic identity, whatever it might be, will come last in a long list of factors. The first of which is the evaluation of contemporary influencers; people like dealers, gallery agents, auctioneers, appraisers, and connoisseurs have more say in the evaluation than you. Even if none of these people know you personally, or have seen your art, they will be the deciding factors by way of your contemporaries. Because they, decide market prices, not on the basis the effort and emotion put into it, but instead depending on the necessity of your brand as an artist. But at the end of the day, you are the creator, so even if you factor in last, you still have a few expectations. Ultimately, somehow the two groups, influencers on the one hand and you, the artist, on the other have to concurrently decide a value structure that works for both. One of the things you must remember is that you can't price your art in the absence of market variables & statistics. There are a few criteria that determine how much to charge for painting anything. One of the important facets is how good is your own resume and also your sales-history? Keeping these things in mind along with the variables in the market you can price your Art in a business-oriented manner. Also, you must consider some practical aspects like your genre or Art when answering the question- how to price my art? Whether you prefer alternative art or much rather dabble in oil-paintings is an important determining factor. Also how long you have been involved in that genre. And one of the most important is the audience you wish to impress & their opinions. Other comparable factors are the type & cost of materials that you use. Also, the kind of money other artists in that genre & at your experience level make. It is important to determine how to price paintings. The scope of your Market: “How to price an art?” Is this question annoying you? In order to be able to price your work properly, you must first define your market. This involves taking a closer look at some specifics like your location, the favorability of your art genre in that location. What are the physical characteristics of your Art (which is especially important if you intend to ship your work internationally? And always look at the pricing process like an experienced dealer or collector would. Or even an art critic. There is nothing to be gained by getting your dose of praise from your close friends & family who like your work anyway & think that it should sell at astronomical prices. What you could do though is use a little known technique designed. It involves pricing some of your Originals higher to make the 'prints' look more attractive. While there is no guarantee but it has worked for quite a few. 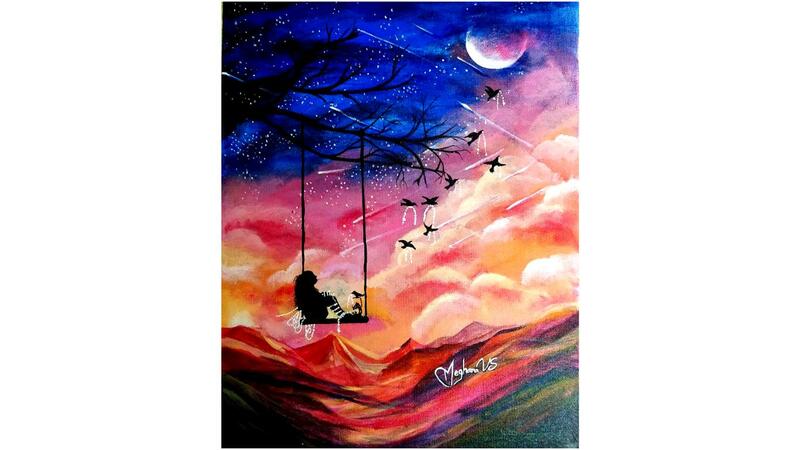 Keep an eye on the prices on you are offered for your art not just your own estimation of what they should sell for. And remember that there nothing wrong with negotiating at a lower price if there is a genuine reason to do so. However, you do not want to be known as a huckster who prices too high at first & then brings the prices down in a bargain. Think the streets of Paris not the bazaars of Istanbul! There is a world of difference between sentiments & real money. Many artists make this mistake of pricing their art according to how they feel about their art.But you must remember that everybody's opinions are different & they have a right to interpret your ideas in whatever manner they see fit. Freedom of expression starts with freedom of thought. Needless to say sentimental ideas about your art are not necessarily a great tool for pricing. You must have consistency in your pricing. While art is subjective, but there is no reason to vary your prices wildly. Not only does it make people doubt the validity of your work it also sends the wrong signals about the future value of your work as an investment. Remember it may be a work of art for you, but for someone else, it is also an investment. Keeping it simple work with art pricing as it does with most things in life. People like clear, concise & simple price structures. They find it hard enough to make sense of the often verbose & varying descriptions they get. Why make it even more confusing for them by having complex & huge deviations in your pricing? This might seem basic but you'd be surprised how many artists forget about it. One of the most essential actions without which your pricing strategy could fall by the wayside i.e., Mention your prices upfront, do not make people ask you the prices! It seems unprofessional & also creates another barrier for you to sell your work. And once you finally get to a level when you think of raising your prices, we advise you to proceed with caution. Here are a few things you need before you raise prices. Ask yourself if you have been selling consistently for the past year or so? Have you been successful in selling at least 60% of all your artwork? If you answered yes, then yes you are ready. But you need to be able to justify your raise for artistic reasons but also with some business sense. And it is not a good idea to begrudge an art gallery or any other 'agency' the high commission they charge if they are able to provide you prices which you have never been able to attain yet. They are after-all promoting you & giving you (much needed) name recognition. Once you have established yourself as a famous artist whose art is in great demand, you could possibly be able to set your own commission arrangements. But until then you need them. This also applied to any other platform you plan to use for art sales like online art galleries & e-commerce sites. They often charge far lower than physical bricks & mortar art galleries to get you sales. There are also instances when there are people who like your art a lot. They may also be your best critics & advisers. But it may just be so that they can't afford your art. So instead of leaving them high & dry without anything to show for their support, it is a good idea to give them some affordably priced art to mull over. Obviously, it should not be sub-standard but it can sure be much less expensive than your other work. It is a great idea to participate in Art shows & competitions, especially when you are starting out as an artist. But you must make sure that you do not want to enter an artwork of yours which is either too high or too low of the average prices in that show. The consistency principle is also important here. Another thing many artists forget to do but which is very important is to document their work. Little things like a proper title, a date & a legible sign make a world of difference. You must also explain your work in words even if it can speak for itself in volumes. It helps to tell the audience if it has received an award been exhibited where & even interesting facts like if it has ever been stolen! If you use exotic materials for your work & especially to ensure that your work does not degrade over time, do not forget to list your ingredients, the appropriate care procedures to be followed & any other instructions, so that whoever owns your work, knows how to care for it & preserve it. 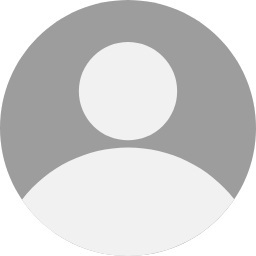 Wouldn't it be good to put a face to the name people read on your work? So place a photograph of you with your work along with a packet of information containing details like who has owned it when & how many hours it to make it. Remember there is no such thing as too much information when it comes to your artwork. Another thing that seems quite elementary but is easy to overlook is your knowledge of the current affairs of Art. You may have been working on a particular genre some years ago when it was not in demand. But in today’s market, it might be the hottest new trend. Wouldn't you want to capitalize on the new found market? But to do that you need to keep your ear to the ground in the Art world. Don't forget to keep an eye out for collaborative projects. They can be as important as any other tool in your artist survival tool-kit. 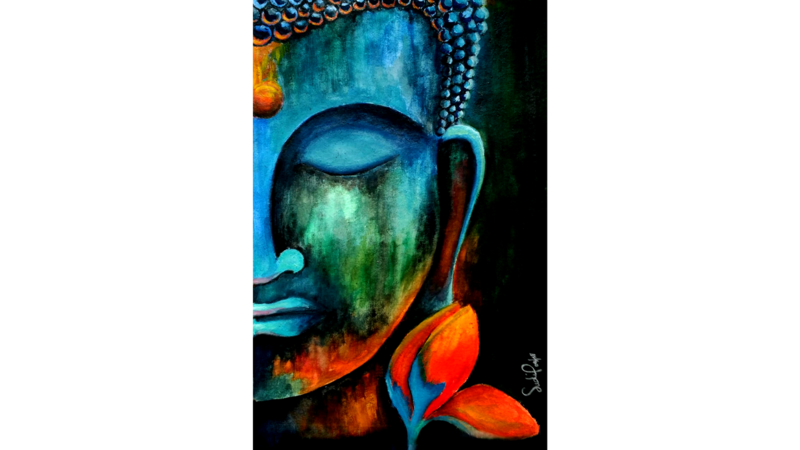 Buddha Bliss by Sudip Naskar, watercolor on paper, 13 x 20. Sales are not just for Wal-Marts. It is not a bad idea to have some sort of limited time 'sale' of your work when you are starting out. Not only does it bring you promotional value it also gives you a feel for the market for your art & also the kind of audience you can attempt to cater to. Needless to say people like a good deal. And they tend to tell their friends & family. Isn't that what you want? Now to that grim issue of reducing your prices, just like raising them, it has its own technique. Speak to art dealers, consultants, fellow artists, etc. to see what they think. You are trying to create a lower price structure by responding to the market conditions for your art, so it is important to do it only once. Too many reductions too soon will simply destroy any credibility you have as an artist. Being new in the business consistency is important when pricing your art, but at the same time, you can't just enter the game and know exactly what to do. More than anything you must be willing to make mistakes and learn from them. Once you start getting a steady flow of income from your art, you can reconsider your variables. Which is why you should always pay attention to your clients, observe your sales. Because, your customers or rather your sales will enlighten you if you’re pricing is wrong. Meaning, if the art sells really quickly, the pricing is a bit too low. If your sales rate is too low, as compared to the interest people show, your pricing is too high. This is especially true if only your more expensive works do not sell. If you’re selling on your own i.e., without a gallery, etc., keep your prices as low as possible without selling in a loss. And, as you move forward, increase the rates by a consistent ratio. If you are an artist selling art prints, use a specific ratio of the original artwork. The ratio does not have to change as the higher the price of the original the higher the price of the print will be. Consider the efforts and resources required for you to produce each print and decide on a profitable ratio. The best way of keeping a level head about the whole pricing issue is to let the market ebb & flow as a river flows past timeless rocks. They are the ones that enjoy the journey of time the most with their stationary resting place. WHERE TO UPLOAD ARTWORK ONLINE FOR ENSURED SUCCESS? ShowFlipper is a great platform dedicated to artists to promote and market their artwork. It ensures that the art is successfully marketed to the appropriate and desired buyer at its respected price! Upload your art and get along a journey that takes you towards success!